The customer must examine the goods delivered upon his arrival and inform us without delay in writing of damages related to transport or discrepancies from agreed article. Transport damage must be reported directly to the carrier. HeyLittleBaby will not be liable for late delivery due to your absence, an incorrect address, strikes, accident or any other case of force majeure. 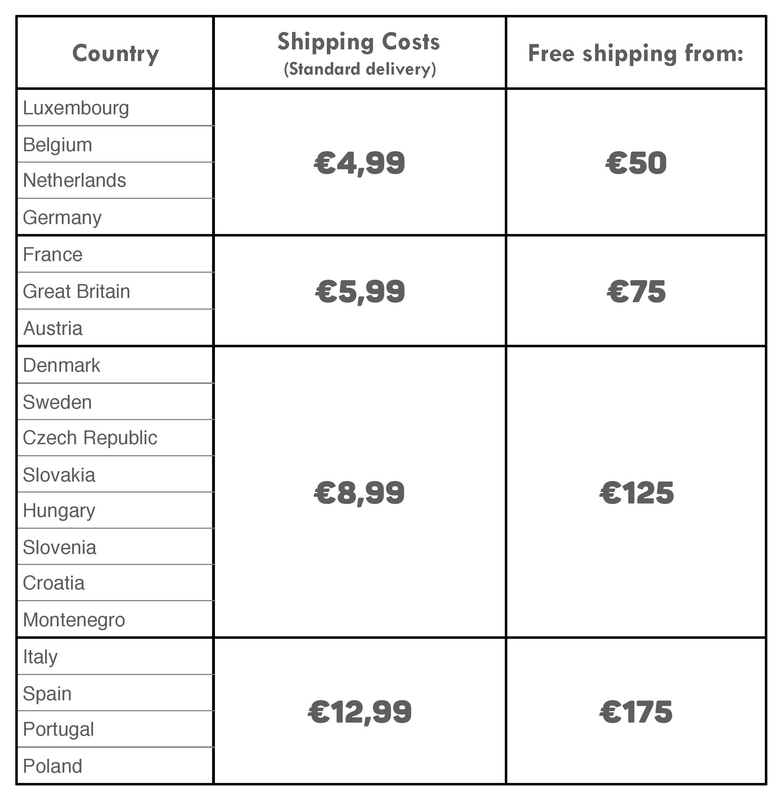 For questions about delivery or if your country is not listed above but want to place an order, feel free to contact us by email at contact@heylittlebaby.com and ask for a quotation. According to current law and regulations, you have the right to cancel the contract of sale and exercice your right of withdrawal within 14 days from the time you’ve received your order and to inform us about your intention of returning one or more items purchased without any reason or incurring a penalty. If you exercise the right of withdrawal within the above-mentioned period, only the price of the product purchased and the shipping costs related to this purchase will be reimbursed; the cost of return delivery remains your responsibility. In order to exercice your right of cancellation you must inform HeyLittleBaby by email at contact@heylittlebaby.com mentioning your coordinates and the reference of the article to get further instructions about returning your order. Any request for return received by HeyLittleBaby beyond these 14 days for some reason whatsoever will not be accepted. We will refund you using the same payment method you used to conduct the original transaction unless we have expressly agreed a different payment method with you. We are entitled to withhold payment of the refund until we have received the items or until you have provided proof that you have returned the items.